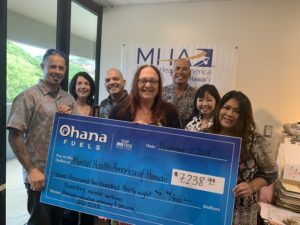 Ohana Fuels Supports Hawaii Island Nonprofits! 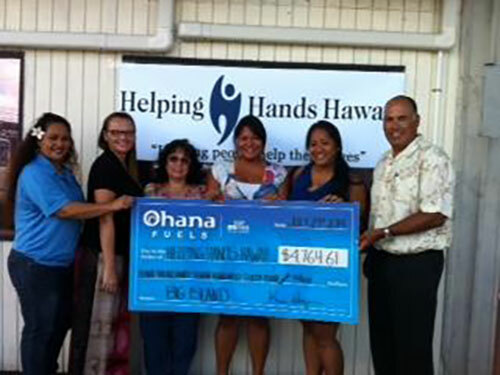 HONOLULU – (August 12, 2014) – During the months of April thru June 2014, Helping Hands Hawaii’s Hilo office (HHH) was selected by Ohana Fuels (OF) to be the recipient of a portion of the proceeds from all fuel sales at their Hawaii island locations. 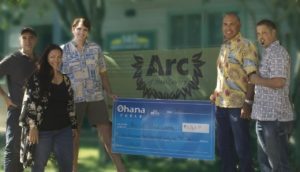 In addition, OF made their station in Hilo available for a fundraiser car wash for each of the 3 months that HHH was their beneficiary. The total amount raised from all activities supported by OF, totaled over $5,000. “The financial support and community awareness that the OF campaign created, will help us to continue to provide needed case management services to adults with serious mental illness, most of whom also struggle with poverty or homelessness. 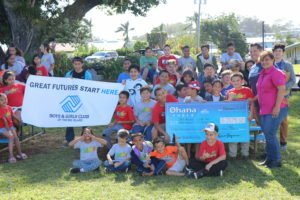 OF has shown a true desire to give back to the community and we are so grateful for their support” said Jan Harada, CEO of Helping Hands Hawaii. Those with mental illness who also struggle with substance abuse and/or poverty and homelessness are often some of the most vulnerable in our communities. The case management work that is done for these individuals is about helping them to stabilize and work towards recovery and improvement of their overall quality of life (e.g. less hospitalizations, decrease in criminal activity/crime recidivism, financial stability, etc.). Helping Hands Hawaii was founded in 1974 and evolved from the Honolulu Council of Social Agencies’ Volunteer Placement Bureau in 1941. With a mission to connect individuals, families, and organizations with essential human and material resources, Helping Hands Hawaii continues today to provide a vital lifeline for our local community to help one another. Its numerous programs include the Bilingual Access Line, Community Clearinghouse, Ready to Learn, Adopt A Family, Emergency Assistance Program, Punawai Program, SNAP Outreach and Access to needed public benefits, Community-Based Case Management, Day Treatment/Intensive Outpatient services, Representative Payee services, and others. HHH’s programs represent a full continuum of care for its clients most of whom are struggling with poverty, homelessness, mental illness/substance abuse, or language access. Separately, these programs represent distinct areas of need. Together, they work in concert to help all of Hawaii realize its fullest potential in a rapidly evolving, increasingly global society. To learn more about HHH, please visit www.HelpingHandsHawaii.org.